Between 1999 and 2007 I had a second home in Marrakech / Morocco. Already through my many journeys into the oriental world since 1978 my ears had a good relationship to the rhythm and sound structures over there. So to what we in the West perceive as "weird" rhythms and scales, because simply our reference systems are different. While we divide the octave into twelve notes, there are up to 32 in eastern systems, and these "foreign elements" found their way into my own music in a completely natural way, as far as this is feasible on my instrument. Just as a painter takes up the light of the place where he is in his paintings, a musician (at least someone who is curious and is on the move with an open ear) does it with sounds. In Marrakech African elements (Mali, Sudan, etc) were added, with which I had already come into contact in Tanzania. All this found its echo in my first three solo CDs SPARITO, ARABESQUE and PAS DE TROIS, all written in my little "Dar Erranna", the "Klanghaus" in the middle of the medina of Marrakech. At that time I said to myself: You can write music everywhere, why not in a beautiful and inspiring place! The band (Steffen Thormählen/Percussion, Antoine Pütz/Bass, Christoph Titz/Trumpet, Heribert Leuchter/Saxophone, (neither related nor related) had already been on the road for the Goethe-Institut in 2003. India, Romania, Greece, Lithuania, to name but a few stations. Then, at the Festival Jazz aux Oudayas in Rabat, a wiry, friendly person stands before me after the concert, who introduces himself as Manfred Ewel, director of the Goethe-Institut Damascus and invites me to a celebration at his home in Rabat for a few weeks later. He spends his holidays in Morocco, his real home, my second home. I agree. Back in Marrakech, I take the train on the agreed day. Friendly welcome, many people (I tend to be shy...), but a perfect host, who takes away my shyness, stimulates conversations and introduces people to each other, handles it all as if by the way. Sometime that evening he takes me aside and we walk a little through his garden. 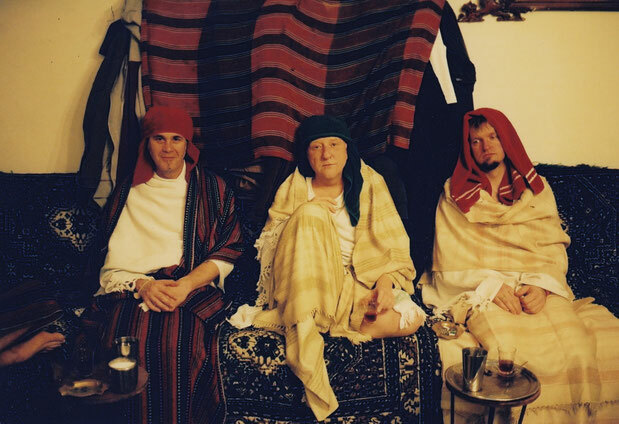 There then the question "Say, could you imagine doing a Middle East tour with Goethe next spring? 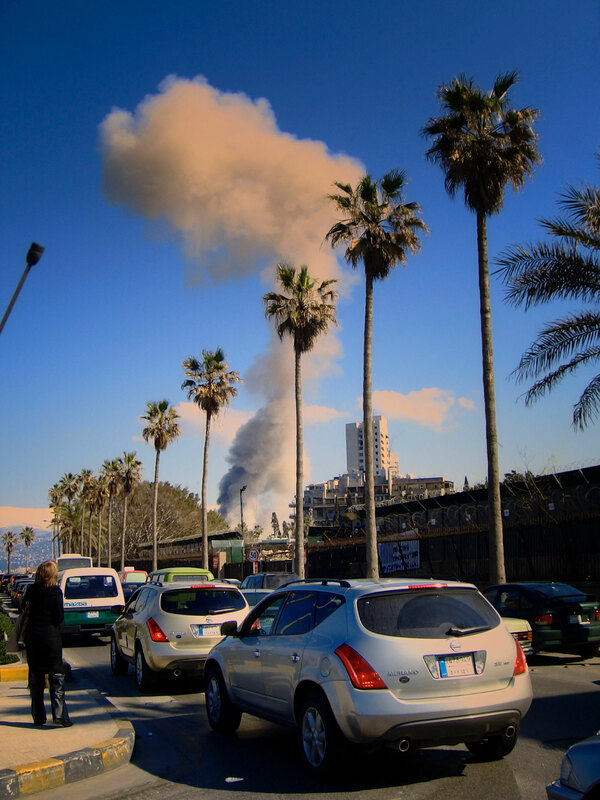 "I was thinking of Beirut, Damascus, Amman, Khartoum, Alexandria, Cairo and Ramallah." It's all been planned in his head, I can see that. I come from something like "hm, I have to think about it," to say half a second later, "Okay, enough thinking, yes, sure!" Wow! The band is convinced quickly, the date will be February 2005 and we'll get down to the details. The starting point should be Beirut. Manfred Ewel offers me to come to Damascus one week before the tour starts to meet musicians who I could invite on stage at our second concert of the tour in Damascus. I say yes enthusiastically and fly to the Syrian capital on 5 February 2005 with Christoph Titz and Steffen Thormählen. Being on the road for the Goethe-Institut has many beautiful aspects. One of the most beautiful ones for me has always been to meet the best of each country right from the start, at least when the director of the institute is a music lover. And so we meet a large number of young, interested and talented musicians directly in the first days. In order to have something meaningful to do, I brought some music from me for my workshop, among other things "Arabesque", a not so simple piece, which I had written down in Marrakech, inspired by an ornamented tiled wall. Basically, it consists of a series of ornaments that whirl in and out, seemingly without beginning, without end. It takes a moment to understand the secrets of the tiles. That was the test setup. What is really amazing is how naturally my workshop participants Dima Orsho, Essam Rafea, Feras Sharestan, Basil Rajoub (all musicians with whom I still play again and again and everywhere) can deal with this complicated topic. They are young, talented, damn well trained, hungry and excessively friendly. So this is what it looks like, the musical section of the "Axis of Evil". But most of all, they eat, drink, laugh, cry, and whatever else they like just as much as we do. And so friendships developed at this time, which deepened little by little and continue to this day. 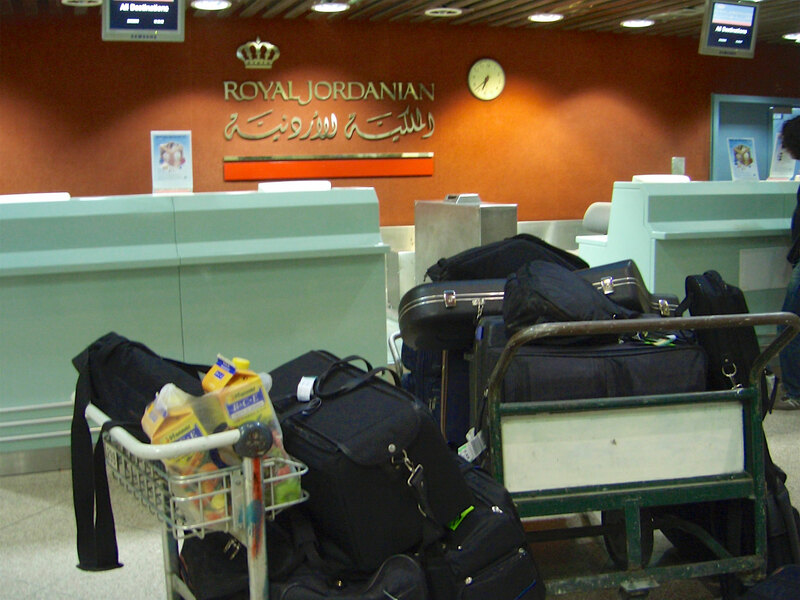 After one week it is time to travel to Beirut on February 12th, where the first concert will take place on the 14th. The other part of the band, consisting of Antoine Pütz (bass), Heribert Leuchter (sax) and Jürgen Müller (technique) will land in Beirut on February 14th 2005 and we will meet at the Hotel Mayflower, after Steffen, Christoph and I have already rehearsed with Ziad Rahbani in the morning. Ziad is an impressive musician, composer and arranger, a star of the Arab hemisphere who wants to play nobodies with us at the Shams Theatre Beirut. He is the son of Fairouz, the singer revered throughout the Oriental world. (You hear Fairouz in the morning and Umm Khultum in the evening, as they say in the Orient, and many people actually do). In the afternoon Antoine, Steffen, Heribert and I set off for Hamra, the popular promenade and shopping mile. The friendly driver of the Goethe-Institut puts us in his bus and takes us there. I hate unpunctuality because it does not respect the time of my fellow human beings, but on this day I am five minutes too late myself, because I talked to a Goethe lady and did not pay attention to time. So we drive on the Corniche, the coastal road, towards Hamra, when suddenly there is a thud, and the bus wobbles as if someone had hit us. The driver stops, I get out briefly and see a mushroom cloud at a distance of maybe 500 meters. About where we're headed. I brought my little camera and I'm sticking to it. Nobody but the driver understands what's going on, but he's all the better off. He drives us back into the bus, turns, and drives against the direction of travel with everything the bus gives back to the institute. Once there, one of the staff rushes out of her office, falls around my neck (Arab women usually don't do that easily) and says "I'm so happy you're still alive!". "Me too," I say, "can I help you?" I still don't understand what happened. They opened all the windows. It's civil war experience: If one bomb hits, there will soon be others destroying the windows. The last civil war is barely 15 years over, and the people still in horrible memory. 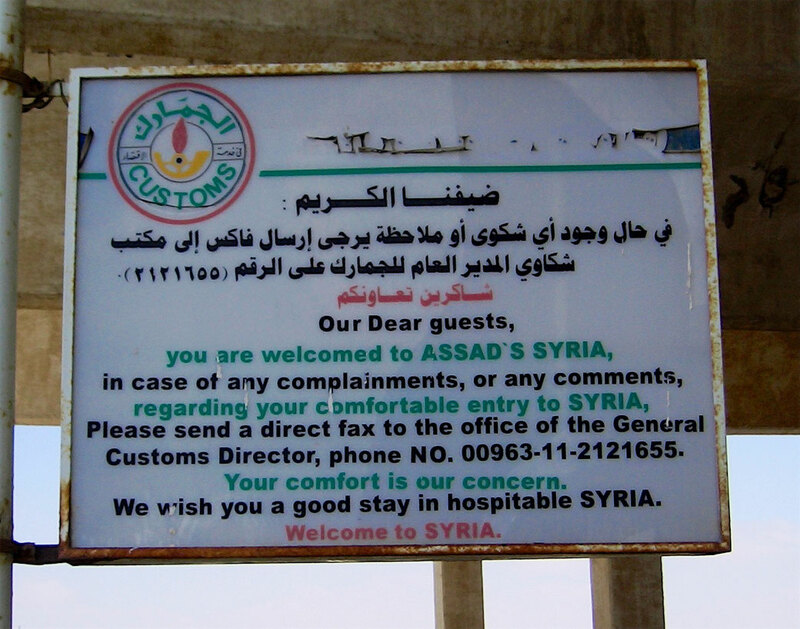 There is a small intermezzo on the Syrian border. There are no papers for our instruments, as we were originally supposed to travel by plane, and I find myself in the customs chief's office. A friendly little man who explains to me that one could not enter Syria here without valid papers for our surely valuable "souvenirs". 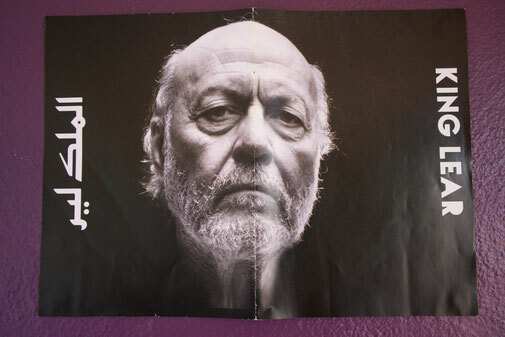 I try to explain, German cultural institute, musicians, tour and so on, I ask and beg, whine and beg again, but all this does not get us any further. And while the boys are waiting at the bus, a keen employee brings a delicious coffee with cardamom in a golden cup, and then another. At some point I get the right idea: "Thank you for your hospitality, but I don't want to overtax it. "Is there a cash box for coffee? The answer is affirmative, and after throwing in 20 US dollars it suddenly goes like clockwork. We cross the border into Syria, which was safe at the time. Two days after the bomb in Beirut is our concert at the opera house. It is full with 1300 visitors and we play our first set, which lasts about one hour. Hearts are flying in. Today I know that all those with whom I was later to work so amicably were present that evening. All but one, but I'll get back to him later. After the break I ask my Syrian guests to come on stage. 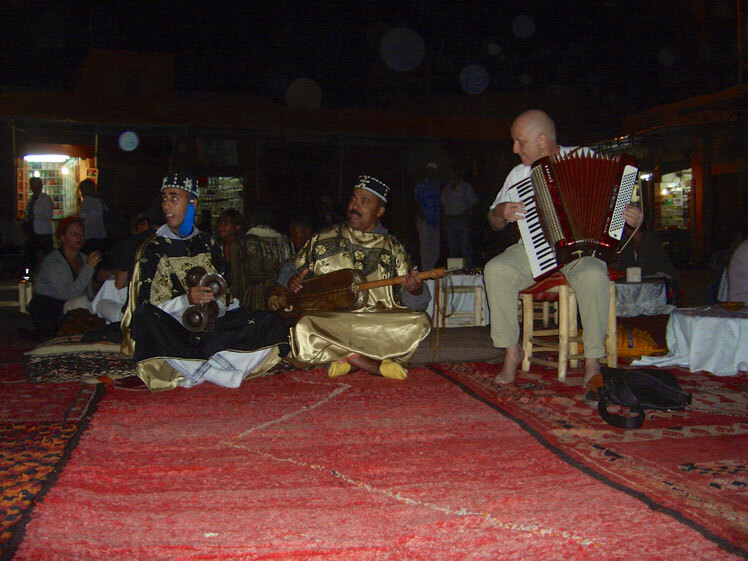 The soprano Dima Orsho, the oud player Essam Rafea, Jamal al Saq on the "Riq" (an instrument that resembles the tambourine), Feras Sharestan on the Arabic caste zither, called Qanoun. We'll play some of my pieces together. It's a bright joy to hear them like that for once. 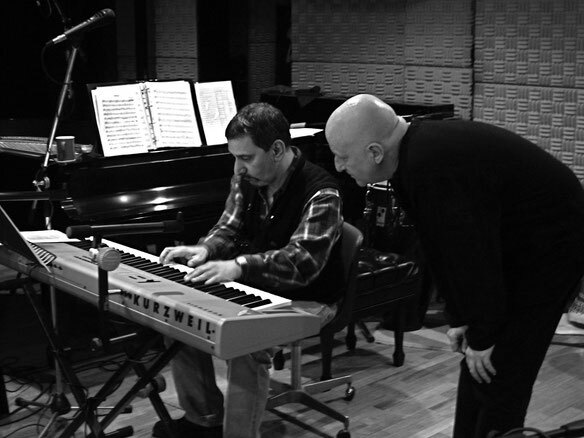 Unusual sounds, unusual improvisation styles. Great cheers. But the applause doesn't want to stop when we start singing a Syrian traditional. "Ya mahla al fusha", a very beautiful love song; sentimental, almost a little cheesy, gorgeously sung by Dima. To this day there is no concert together in which "Ya mahla" is not on the programme. All hope lies at the time in Bashar al Assad, who gives the impression that he wants to carefully open Syria after the leaden time of his predecessor. And so there is a growing scene of musicians, painters, writers and photographers, all still quite shy, but one notices the germ of hope. And the dictator allows it. 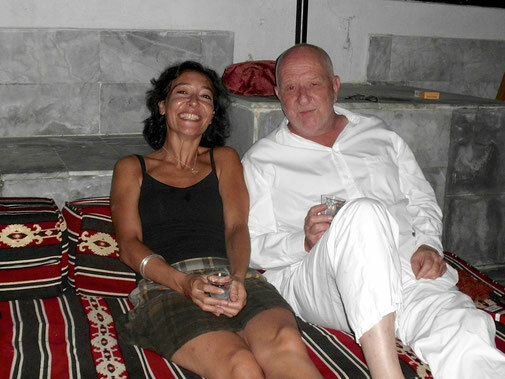 His wife Asma is the patron of "Jazz lives in Syria", an initiative of the wonderfully active Hannibal Saad. At this festival, which took place in the citadel, I often played with all kinds of line-ups until 2010 and even shook hands with the unfortunate Asma once after a concert in the citadel. You couldn't have known. 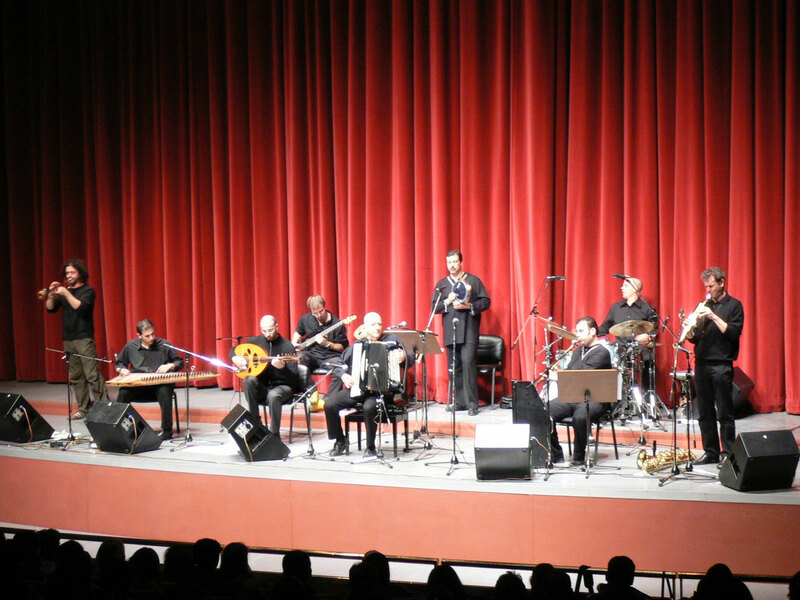 Anecdote: In April 2013 I accept the invitation of the Shams-Association to play a concert in Beirut. 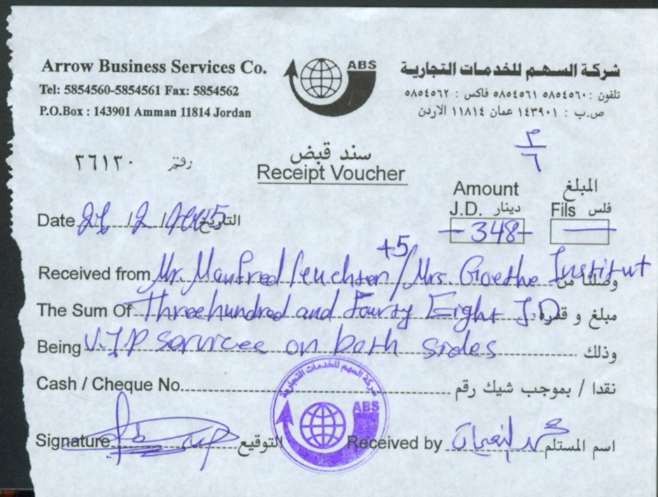 The trip to Lebanon this time is completely problem-free, a direct flight from Fankfurt takes me there. Then the usual passport and customs control, where of course my instrument attracts attention. What I intend to do with it, the official asks. "Playing a concert at the Shams Theatre" I answer truthfully. "That's not gonna happen, you need an artist's visa!" That's the first time I've heard that, but what should I do? 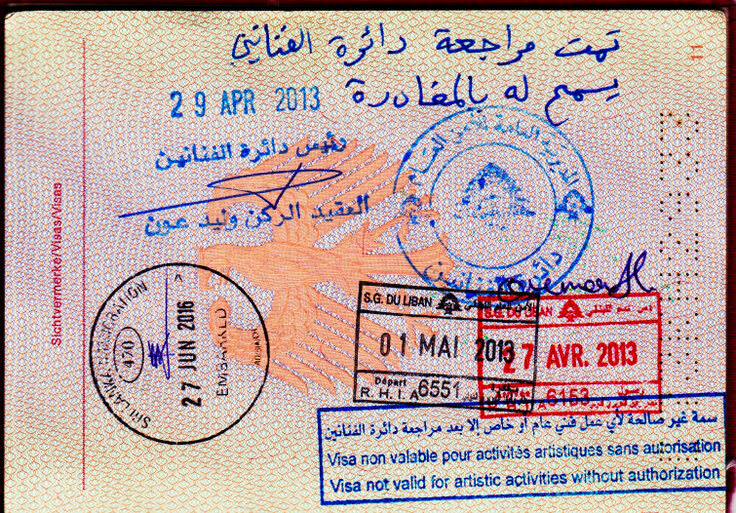 They let me pass, and so my passport now states that I am very welcome in Lebanon, but there is one thing I must not do under any circumstances, namely work as an artist. I arrive late afternoon at the Hotel Mayflower, and there is a warm welcome, we know each other. In the evening I meet Ariane Langlois, the organizer of the concert. I'll tell her about what happened. It quickly becomes clear: I need this special visa, otherwise the concert is in danger. It is therefore agreed to go to the appropriate administrative service the next morning to get it. Since I certainly can't do this alone, Ariane asks the experienced theatre director, director and actor Roger Assaf to accompany me. The taxi will be here at the agreed time. The driver takes us to a suburb of the city and leaves us prematurely to our fate, because the building cannot be approached. Roger is an older gentleman (even older than me), very, very friendly, but not quite as good on his feet. The last 300 meters are a small hurdles race for him, because the kerbs are quite high and the drivers are quite ruthless. You could have come closer, but the driver didn't want to! All right, Roger asks himself through, and we find the house that looks like anything, but not like an agency. We will be sent to the waiting room after registration. It's outside the house and half covered, actually more of a waiting area. To my surprise, this farm is very busy, exclusively with not directly ugly young women who look at us as questioningly as we do at them. We're the only men, the ladies giggle.